Christmas is a magical time of the year, where we all love sharing memorable moments with our family and friends. 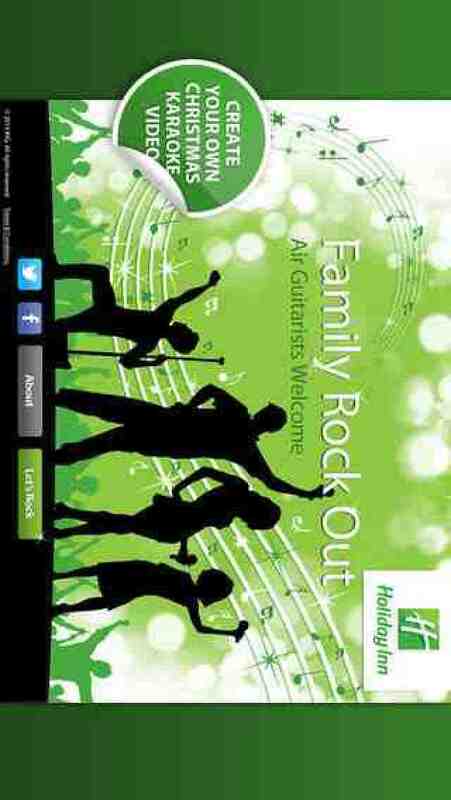 Holiday Inn® Hotels' Family Rock Out offers you the chance to share a special Christmas moment with your nearest and dearest." Plus, Holiday Inn® Hotels are offering one lucky winner £1,000 worth of shopping vouchers! Something to make your Christmas feel extra special this year. Enter the competition before 18th December 2013 to be in with a chance of winning." "So why not grab your air guitar and rock out with Holiday Inn!" Last, but not least, a massive THANK YOU to everyone who has sung on Family Rock Out.